Tofu Bacon Lettuce And Tomato Sandwich | Live. Learn. Love. Eat. Tofu and bacon in the same title? Yes, you read that correctly. 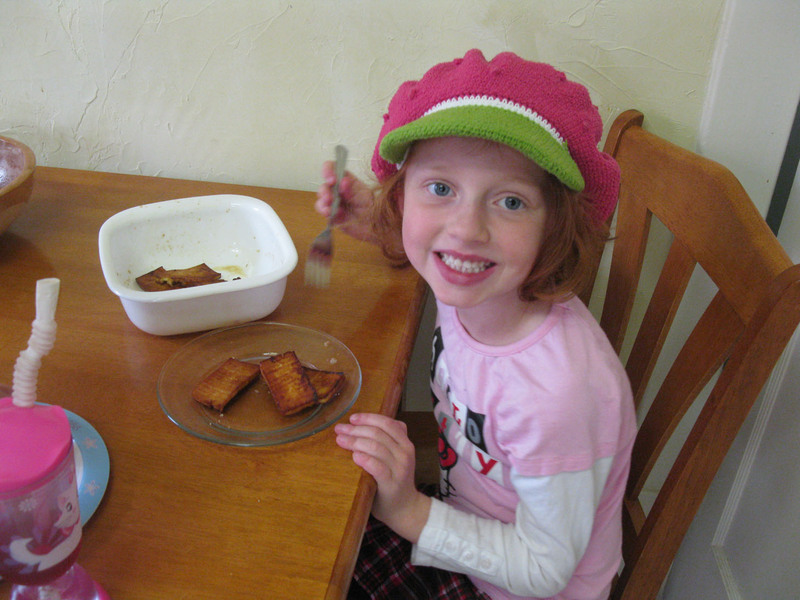 The first time that I ever had tofu bacon was at Organic Planet. This was when I was still in the process of overcoming my fear of tofu. I was scared, but it was sooooo good. It tastes exactly like bacon minus the nasty artery clogging fats and feeling of greasy grossness (who knew?). 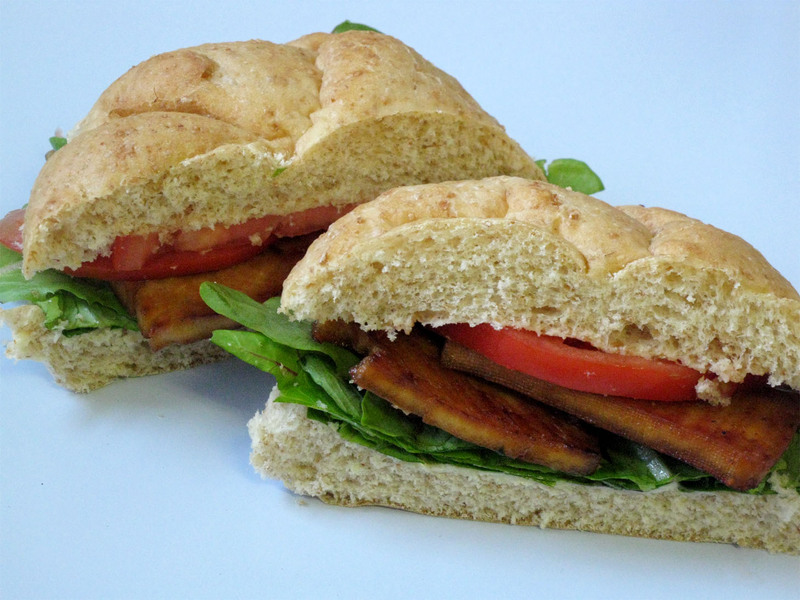 Ever since I first tried it, I fell in love and whenever we went into the city to get our groceries I would get my TLT (tofu bacon, lettuce and tomato sandwich). I am also happy to report that tofu doesn’t scare me anymore! 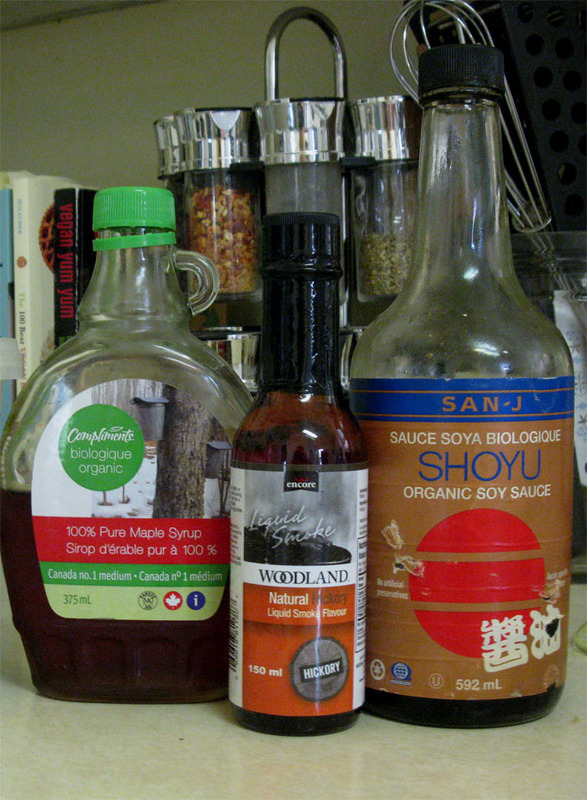 I spent a long time avoiding it, until I realized that it takes on whatever flavors you cook it with. It is actually quite amazing! Well, if you know me, you probably figured out that I quickly decided that I was going to learn to make this myself. I browsed the internet for different recipes and decided on one that I was going to try. Yesterday when we were there I found the secret ingredient, hickory liquid smoke. Today for lunch I mad my own version of the TLT! It was so good. I am so proud of me. 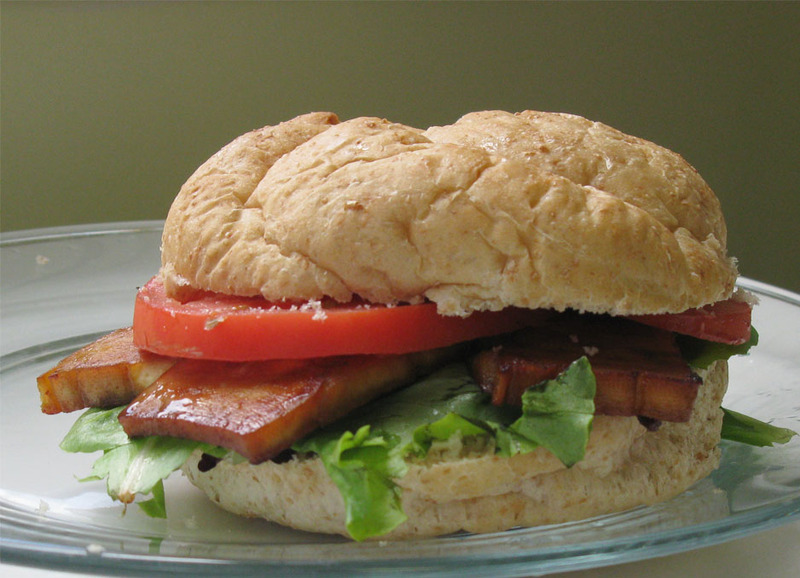 Ladies and gentlemen, I present to you, the tofu bacon lettuce and tomato sandwich! 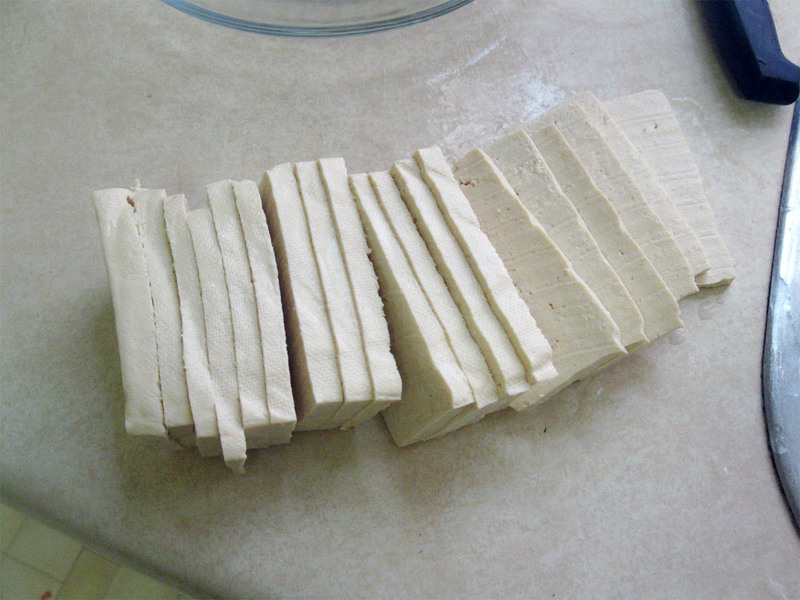 Slice the pressed tofu width-wise into 20 strips. 2. 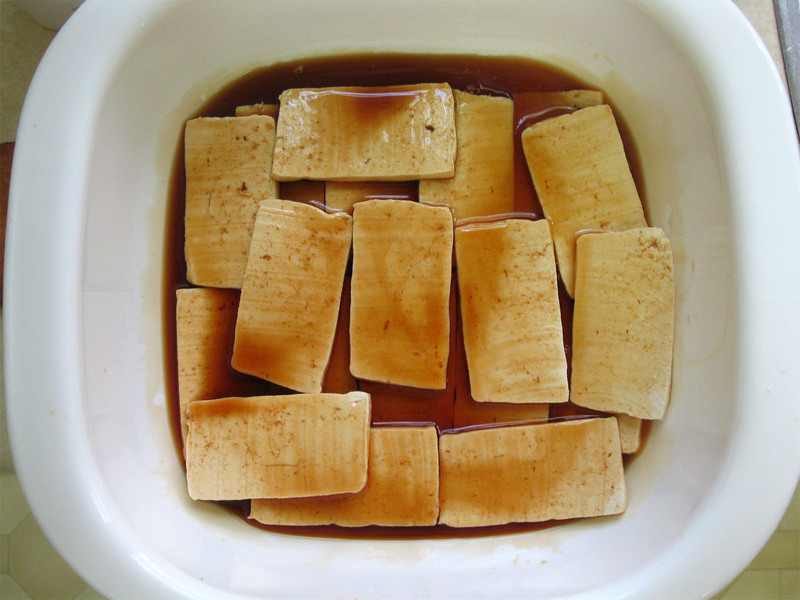 In a small dish, whisk together the soy sauce, liquid smoke, maple syrup and nutritional yeast. 4. Allow to marinate at least 30 minutes (the longer you marinate it the more flavor will absorb). 5. Heat a pan with a bit of canola oil on medium heat. 6. 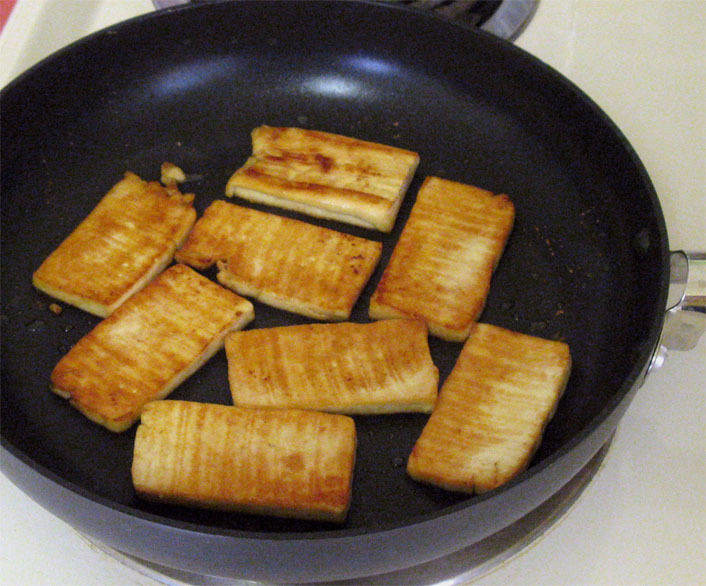 Place the tofu in the pan and pour more marinade on top. 7. Cook until golden on each side. 8. 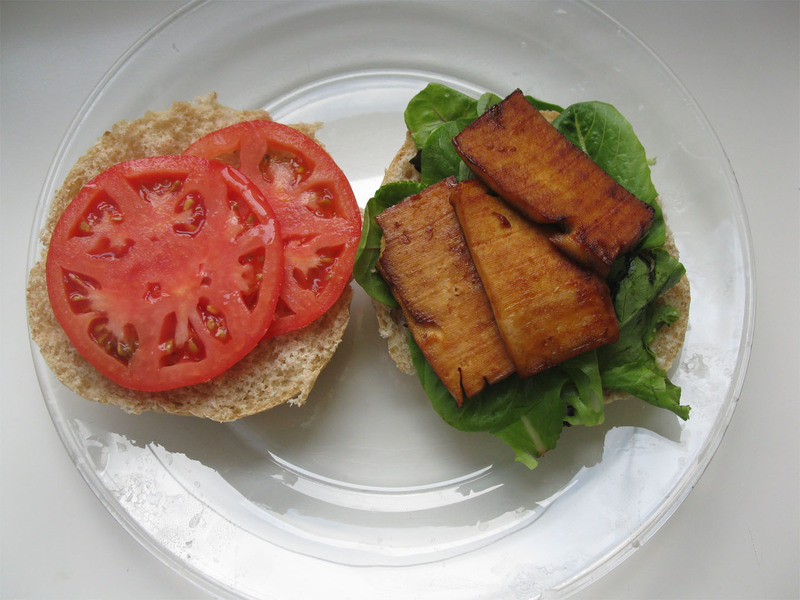 Assemble sandwich, with the tofu bacon, lettuce and tomato. The girls love this bacon. I made a lot so that Autumn would have some for sandwiches this week. They even just like to eat it as is. I love discovering healthy recipes like this one. There are so many ways to create all your favorite foods in healthy ways. This one, banana soft serve and my 5 minute no bake brownines are great examples. We have that ice cream everyday. I feel good knowing that my kids are getting great nutrition and that they aren’t addicted to sugar or consuming trans-fats, artificial colors or preservatives. After we had lunch, we went out for a walk. 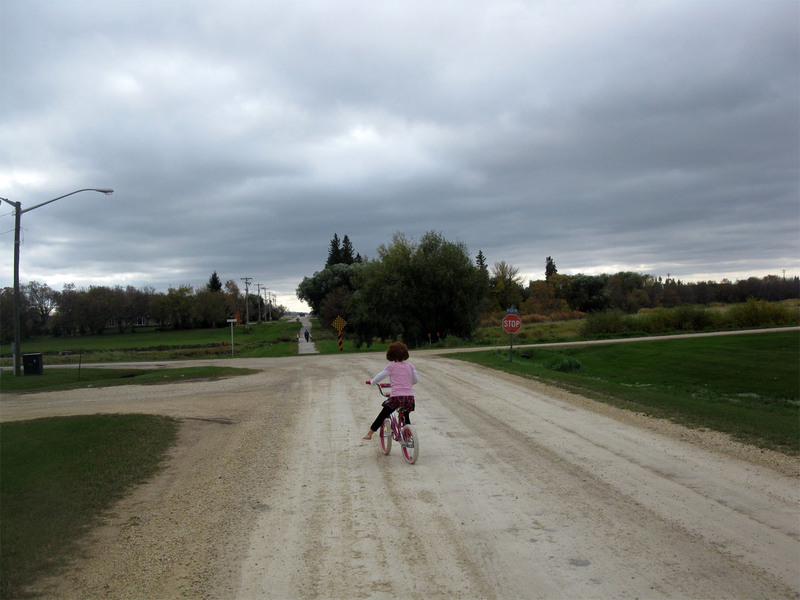 It was WINDY and gloomy! 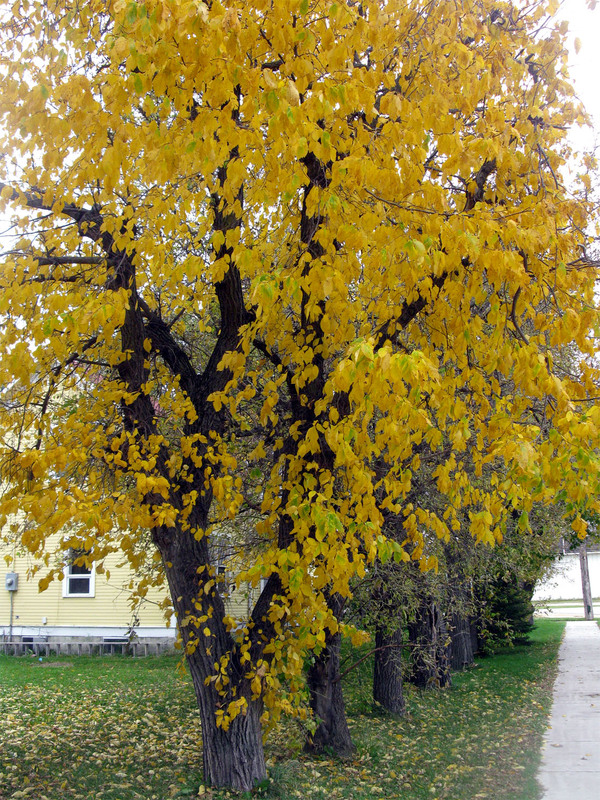 Autumn kept on singing the whole way which made it better. 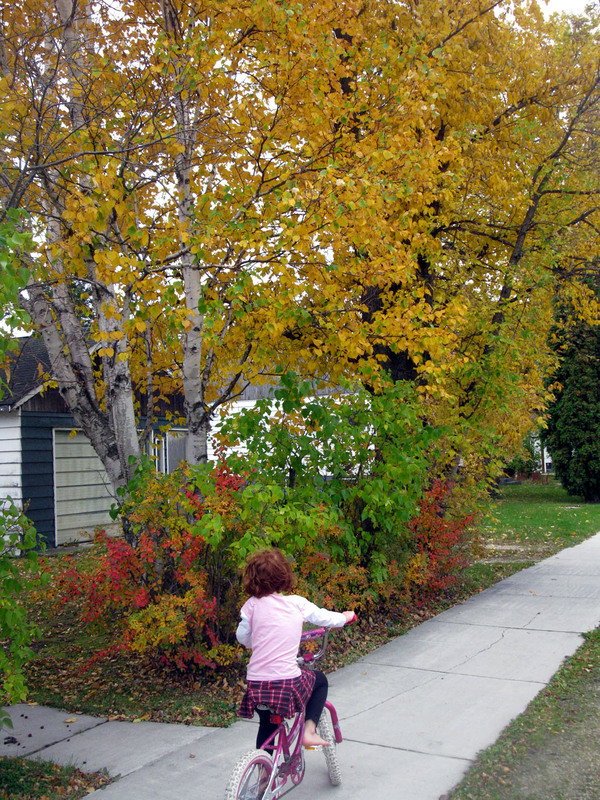 She made up a song about the leaves falling. 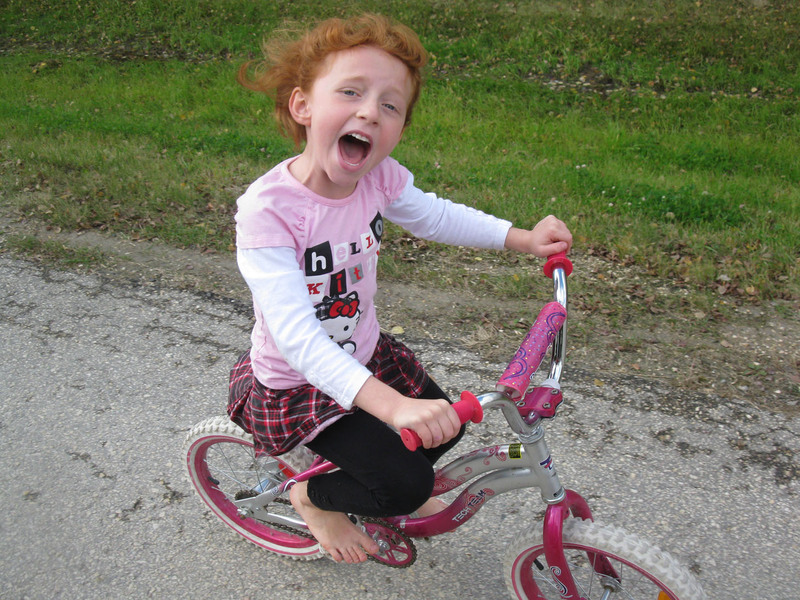 When we were walking into the wind Autumn says, “It’s so windy in my hair! I guess you don’t know about that mom.” She thinks that she is so funny. This day is going by too fast. I still have plans for baking. I won’t tell you what though. I am cruel like that, but you can be sure it will be delicious. I need something to pack in Autumn’s lunch for tomorrow. What else can I say, life is great! Oh yah, I could get into that TLT. Good to know what to serve Autumn when she’s here! Pingback: Sweet and Sour Tofu with Stir-Fried Vegetables and Quinoa | Live. Learn. Love. Eat. Pingback: Tofu Love | Live. Learn. Love. Eat. Pingback: Food Galore! | Live. Learn. Love. Eat.